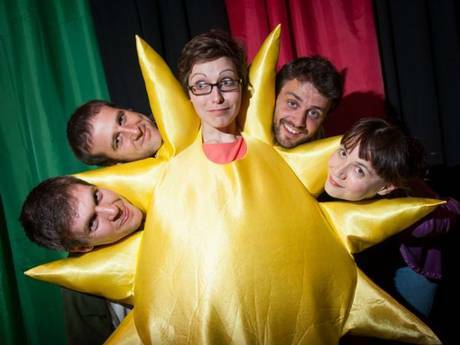 Comedy | Ready, Steady, Science! One of my jobs is as a comedian. I have performed in clubs, theatres, festivals, museums, zoos and even the House of Commons. You can book me to MC, for shorter or longer spots or with my own shows. I run the Ugly Animal Preservation Society, a comedy night with a conservation twist. 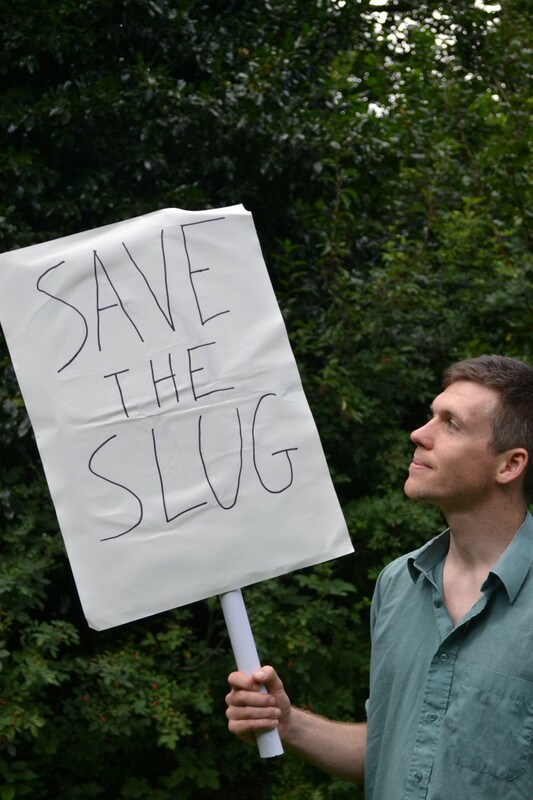 Previous guests have included Sara Pascoe, Elf Lyons, Ellie Taylor, Helen Arney, Suzi Ruffell, Lindsay Sharman, Dan Schrieber, Paul Foot and other great people. Book this and I will ask my professionally funny friends to come perform with me at your event. 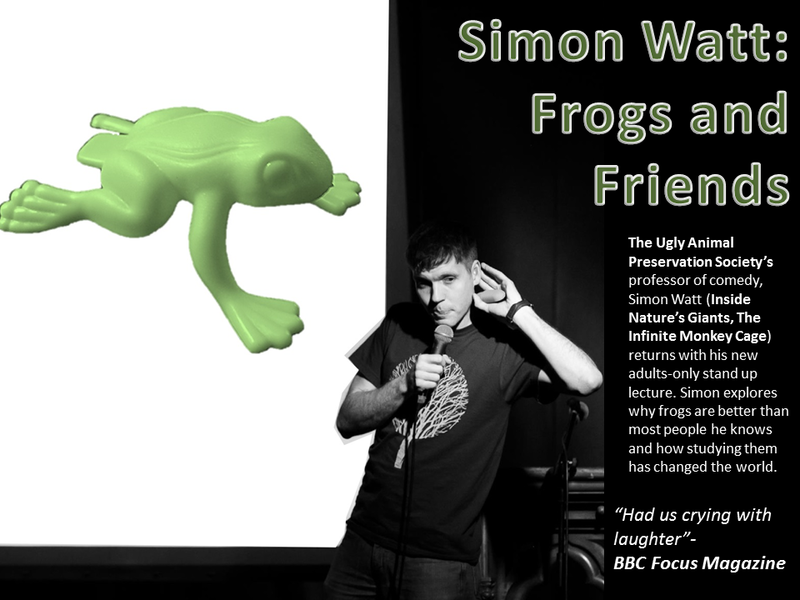 My current touring show is Simon Watt: Frogs and Friends. I have some other more long form self contained stuff too. I perform other material too and is keen to collaborate. You can read more about his comedy in this interview with the Independent. I have frequently performed alongside the amazing science comedy troupe, the Festival of the Spoken Nerd and cannot sing their praises enough. He performed at “Stand Up for Darwin” at “the Museum of Natural Curiosity”, as part of “Robin Inces 9 Carols and Lessons for Godless People”, the “the Science Comedy Supercollider”, “Science Burlesque”, “Bright Club”, and at many, many more events.